This new beach scene painting features beach chairs with two blue striped towels, ready for relaxing in the sun. I was on the Fort Lauderdale Beach with these chairs right in front of me on the beach, they looked so inviting. 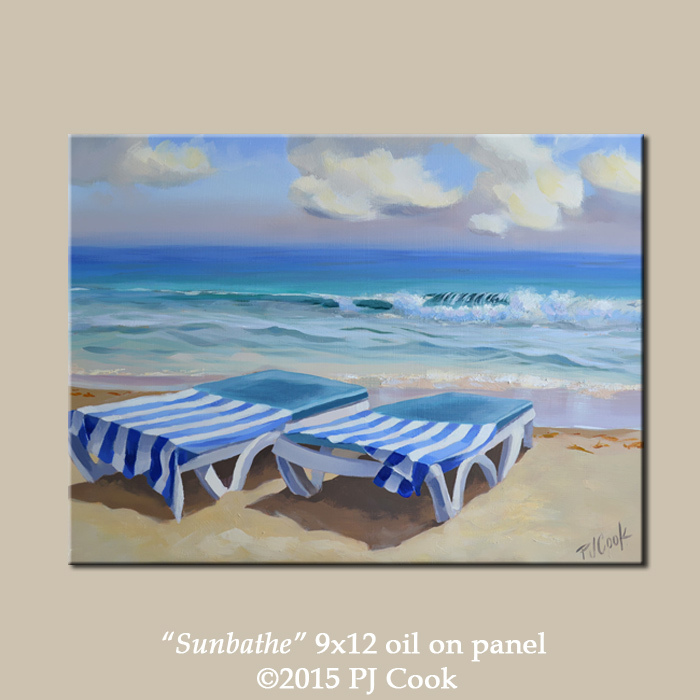 The original oil painting features ocean waves breaking and a few clouds in the sky. This seascape would be a pleasant reminder of time spent at the beach. This is a 9″ x 12″ original oil painting on panel, sold unframed.